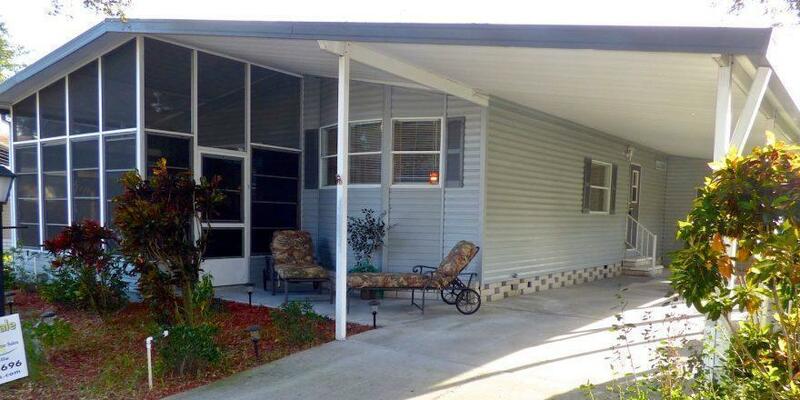 This Beautiful 2 Bedroom, 2 Bath FULLY FURNISHED Mobile Home is in Strawberry Ridge. The home has been Completely Updated with Freshly Painted Walls and Ceilings, ¾” Plywood under all New Waterproof Wood Vinyl Flooring, New Light Fixtures, New Blinds, Updated Kitchen and Updated Bathrooms. The home has new Vinyl Windows in the Florida Room and Newer Stainless Appliances in the Kitchen. The Entrance of the Home has a Covered Patio that leads to a Beautiful Florida Room. Open the windows in the Florida Room and enjoy the breezes. The Elegant Open Concept Home has High Cathedral Ceilings and Wood Vinyl Flooring throughout. The Renovated Kitchen has a Large Bay Window and a Skylight, Newer Stainless Appliances, Freshly Painted Cabinets, and has been opened up with a Stylish Counter Bar. The Spacious Living and Dining Area has Wonderful Natural Light filtering in from Large Windows, a Beautiful Fireplace, and Sliding Glass Doors that lead to the Florida Room. The Large Master Bedroom will easily fit a King Size Bed, and has Double Walk-in Closets for Plenty of Storage. The Attached Master Bathroom has been completely updated with a New Vanity, New Toilet, Walk-in Shower and a Linen Closet. The Lovely Guest Bedroom has a Nice Sized Closet for additional Storage. The Guest Bathroom has been updated with New Vanity, New Toilet, and New Tub. The Washer and Dryer are In The Home with Additional Storage Cabinets above. The Home has a Shed at the end of the Large Carport for additional Storage. Hurry! This Beautifully Fully Furnished Home will not last long! Strawberry Ridge is a Beautiful Resort-Style 55-Plus Gated Community located on the outskirts of Tampa. This Very Active Community has both a Heated Indoor and Outdoor Pools with Hot Tubs, Fitness Center, Tennis Courts, Shuffleboard, Library, Woodworking Shop, Ceramics Studio and Clubhouse with pool tables, Dance Floor, Stage and Kitchen. There is always something going on including cards, aerobics, line dancing, Bingo. On sight storage for boats and RV’s. Close to the Tampa’s museums, professional sports, entertainment venues., zoos and aquariums. Just a short drive to the Beautiful Sandy Gulf Beaches. Lot Rent is $622 a month and includes trash and all the Park Amenities. Pet Friendly – Dogs any size, just no aggressive breeds. Once you purchase the home you can rent it out. 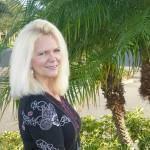 To schedule an appointment, CONTACT – MICHELLE – 727-490-8696.